Here's your disturbing China story of the day. 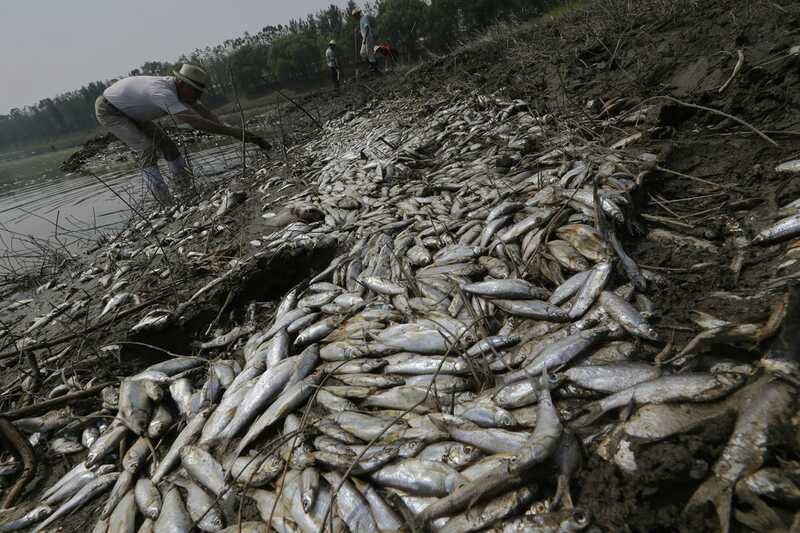 Hundreds of thousands of dead fish have washed up on a Chinese river starting Monday. 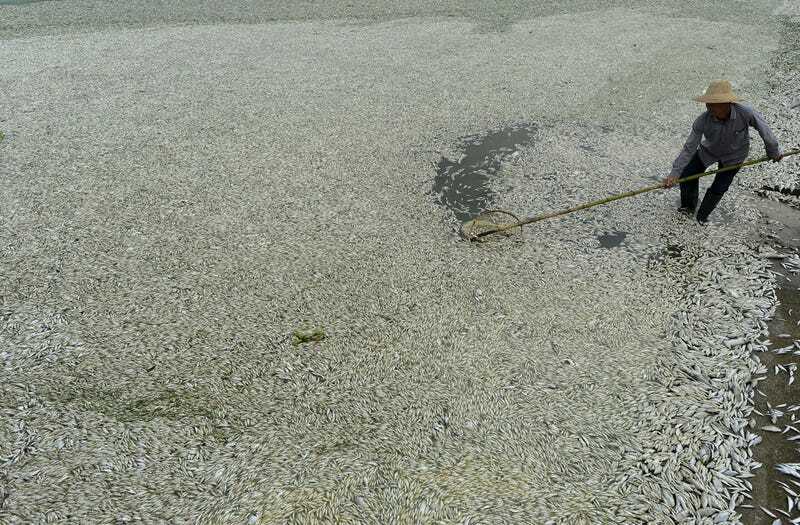 According to reports, the fish were poisoned by Ammonia coming from a Hubai province chemical plant.